Marriott International today unveiled Marriott Bonvoy, the new loyalty brand replacing the current loyalty brands - Marriott Rewards, The Ritz-Carlton Rewards and Starwood Preferred Guest (SPG). "Marriott Bonvoy marks an evolution in travel because it represents more than a loyalty program," said Stephanie Linnartz, Global Chief Commercial Officer, Marriott International. "Marriott Bonvoy is a travel program designed to bring to life our extraordinary portfolio of global brands in 129 countries and territories, while also providing endless inspiration for members to keep traveling and pursuing their passions." Linnartz continued, "Represented by a simple, bold and modern logo, Marriott Bonvoy is welcoming and optimistic. Our 120 million members have access to the world's leading hotel portfolio at the best room rates and member benefits, as well our collection of Moments experiences that bring exploration and discovery of the world to the forefront." Beginning on February 13, Marriott Rewards Moments and SPG Moments will become Marriott Bonvoy Moments, which together with Marriott Moments will feature approximately 120,000 experiences in 1,000 destinations available for purchase or by redeeming points. In addition to accessing locally relevant sights and excursions, such as hiking into glacial Patagonia, desert treks on camelback in Morocco or cruising to Vietnam's timeless floating villages, members can indulge in once a lifetime experiences like cooking alongside renowned chefs Daniel Boulud and Eric Ripert, or honing football skills in a master class with Hall of Fame wide receiver Jerry Rice. 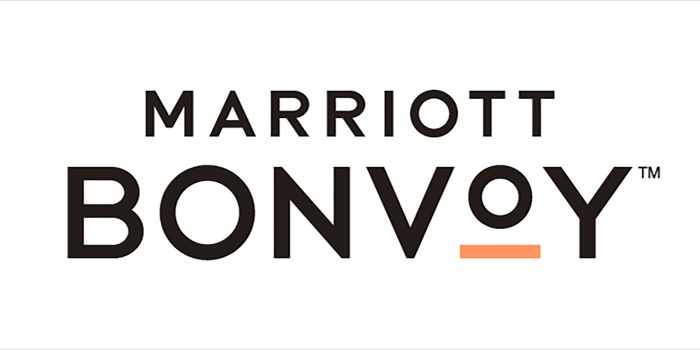 Throughout 2019, Marriott will bring Marriott Bonvoy to life with a series of experiential events for members taking advantage of the company's marketing partnerships with iconic brands including the NCAA and the FIA Formula One™ World Champions, Mercedes-AMG Petronas Motorsport, as well as through sponsorships such as the Oscars®, Coachella Valley Music and Arts Festival, Dubai Jazz Festival, The Hong Kong Sevens and World Golf Championship – Mexico Championship. With Marriott Bonvoy, members will have access to Marriott's portfolio of diverse brands including the largest collection of lifestyle and luxury properties. Whether it is sun-soaked overwater bungalows at The St. Regis Maldives Vommuli Resort, mountain-side resorts nestled against ski slopes like at The Westin Resort and Spa Whistler, beachfront properties hugging pristine sands like at The Ritz-Carlton, Bali, to iconic urban towers offering panoramic views like at the JW Marriott Marquis Hotel Dubai, or former palatial residences like The Gritti Palace, a Luxury Collection Hotel (Venice), Marriott Bonvoy provides members an unparalleled offering of experiences together with the opportunity to earn desirable member benefits. Members currently using either the SPG or The Ritz-Carlton Rewards apps are encouraged to download the current Marriott app now which will automatically update to become the Marriott Bonvoy app on February 13. The SPG and The Ritz-Carlton Rewards apps will be deactivated on that date.